The team at A2L Consulting includes top members of the litigation graphics consulting, jury consulting and litigation consulting business. They enjoy sharing their knowledge in our popular webinars, often watched by thousands of people. All recorded webinars are free to watch. Also see our downloadable free e-books and our famous blog. Presented by Ryan Flax, a successful litigator, (Former) Managing Director of A2L's Litigation Consulting Team, adjunct trial advocacy professor, and top trial consultant. 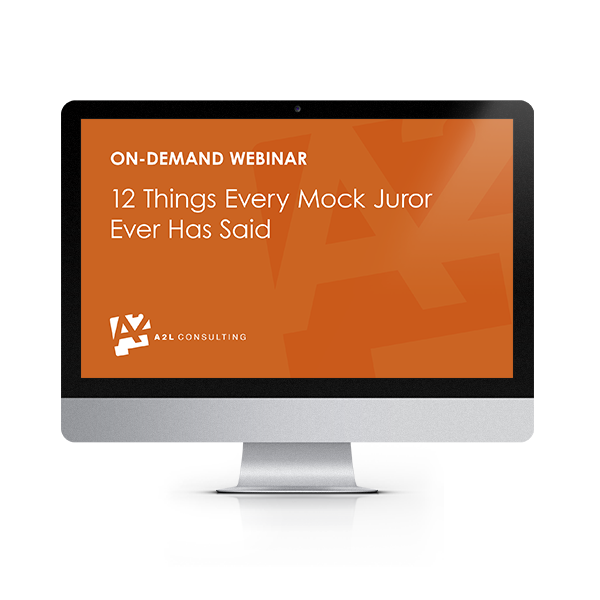 Taught by one of the world's top jury consultants who has observed more than 400 mock juries deliberate. 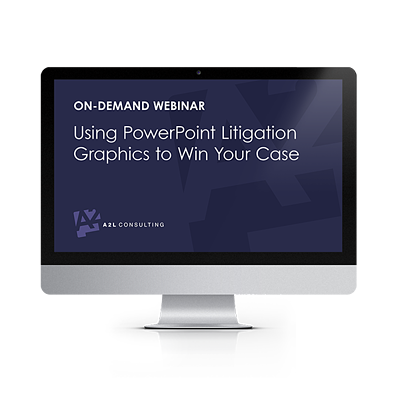 Taught by a litigator turned litigation consultant who is the top expert in the field of litigation graphics consulting. 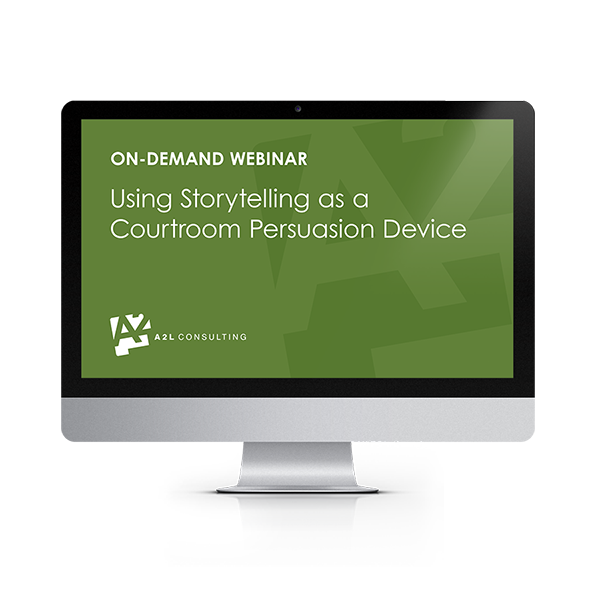 In this one-hour webinar, Dr. Laurie Kuslansky reveals the science behind why storytelling works while litigator turned litigation consultant Ryan Flax shares what he's learned about storytelling, particularly visual storytelling, while trying complex cases for a dozen years. How Can Litigators Meld Expert Evidence With Winning Arguments? 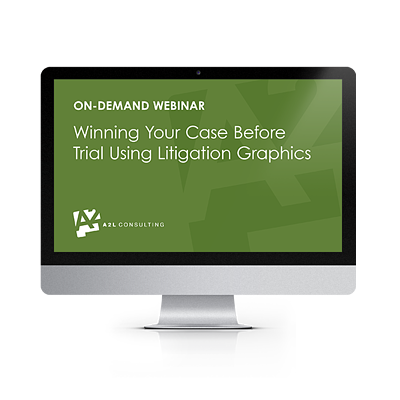 Dr. David Schwartz shares how sophisticated litigation teams use both testifying and consulting experts to stay on message. Ryan Flax shares what he's learned about explaining complicated subject matter while trying complex cases for a dozen years. Ted Dunkelberger describes how to pick the best experts.